Jim Flynn is on a mission to change how we think about the modern world, our place in it, and the moral choices we make. In The Torchlight List he argued that great literature can change lives. Now in Fate & Philosophy, he looks at tough moral decisions we face and urges us not to be influenced by subconscious conditioning inherited from our parents, our religion, or any other source. 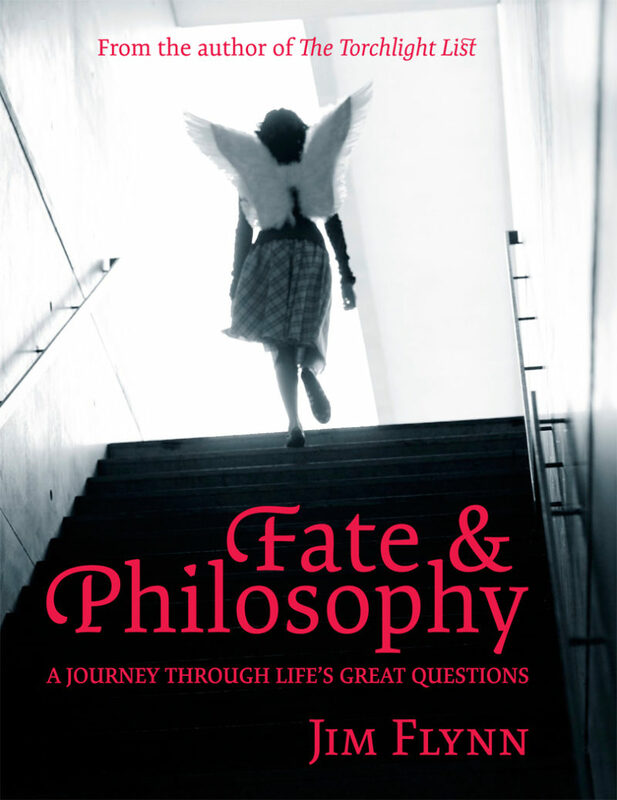 Fate & Philosophy is both an exhilarating introduction to philosophy and a mind-bending tour through its intersection with science, in particular research on the human brain. – Why do we make the moral choices we do? – Why do we want a higher authority to tell us what is right and wrong? – Should we be blamed for bad behaviour? – Is a good society possible? – Can politics and war ever be ethical? – Does science hold the answers? For readers who enjoy The Consolations of Philosophy (Alain de Botton), Who Am I? (Richard David Precht) and other stimulating books by contemporary thinkers. Jim Flynn is one of New Zealand’s leading intellectuals and an international authority on intelligence and IQ. The superb sequel to The Torchlight List. Anyone interested in discovering philosophy will find this engaging and easily readable, and enjoy the personal flavour and provocative charm of Flynn’s discussions. Valuable … presents perennial intellectual troublemakers, such as what it is to be morally good, is there any point in religion, and how to resist recent attempts to portray science as just another story.